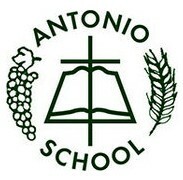 Antonio Catholic School (then known as simply Antonio School) was established in Morphett Vale in 1975 with the support of Federal Government funding and through the generosity of the Antonio family, after whom the school was named. The parish, led by Fr Rob Egar, worked tirelessly to establish a quality school for children from Morphett Vale and the surrounding areas.. Since its inception with ‘open plan’ classrooms, we have had a reputation for innovation and we regularly welcome visitors to view best contemporary practice (as happens now with the implementation of the Walker Learning Approach). A complete refurbishment of the two main buildings took place in 2000 and early in 2010, Antonio was the first Catholic school in SA to open its ‘Building the Education Revolution’ project, a multi-purpose hall and gymnasium. The school has recently successfully applied for a federal Grant to upgrade existing Junior Primary classrooms which will be completed during 2015. Calvary is a Primary School incorporating OSHC facilities on site and is conveniently located on the same campus as the Calvary Kindergarten and Noarlunga Children’s Centre. Together with parents and caregivers, we strive to pursue excellence in learning for each child while nurturing them in the Christian faith. We aim to provide for the spiritual, academic, cultural and physical development of our students in a safe, nurturing and caring environment. Calvary is home to a state of the art computer and audio visual facility which is designed to support student learning providing opportunities for rich curriculum access. We currently provide well developed music, worship and physical activity programs and work closely with Calvary Kindergarten fostering relationships between Kindergarten and School. We are blessed with a wonderful outdoor space and play facilities. The curriculum offered is designed to support students to develop a wide range of skills and abilities with mathematics as a special focus area. We endeavour to create learning environments which emphasise key competencies, stimulate thinking skills and utilise technology in order to create challenging, motivating and enjoyable learning experiences for all students in our care. Come, visit, and see Calvary in action. Southern Vales Christian College (originally Morphett Vale Christian Community School) commenced in September of 1980 as a ministry of the Harvest Australia Church (formerly Morphett Vale Baptist Church). The Aldinga Campus was established in 1991 to cater for those who lived further south. Over the years since, Aldinga has developed strengths in Agriculture, Aquaculture and Hospitality. Both campuses cater for students from Reception to Year 12 and at present there over 700 students, in total, enrolled at the College. The College Board, together with the community, have adopted the motto "Excelling In Christ" and continue to pray and work towards ensuring that all students' gifts and abilities bring glory to God in all of life. Southern Vales Christian College has extensive experience in supporting students with special needs, evidenced particularly in our Special Needs facilities at both campuses. The School Leadership are excited about the future of the College. Our desire is that students who graduate from Southern Vales Christian College will continue to impact communities, both locally and abroad by taking to heart and working out the school’s motto "Excelling in Christ".